I’m on an 8-bit Sonic binge as of late, aren’t I? Wait, who am I kidding? I always am. A SEGA Master System hack, Sonic 2 LD, a title playing on Retro’s HD Sonic 2 remake, by doc eggfan at Sonic Retro is probably my favorite project at that forum. The project’s goal is to take the Sonic 2 levels for the Genesis and put them in the Sonic 2 Master System ROM. A novel concept, considering that I’ve always wondered why SEGA made different levels for the Master System version (aside from making Aqua Lake Zone, aka “the best zone ever” – ride that shuffle beat). 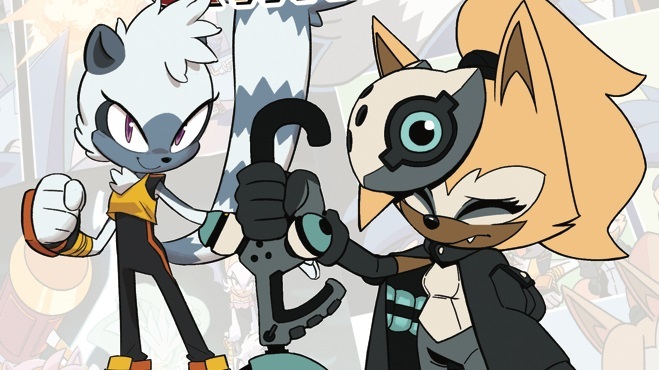 Welcome to the Fan Spotlight, a segment that shines on creative works in the Sonic community that you should check out. 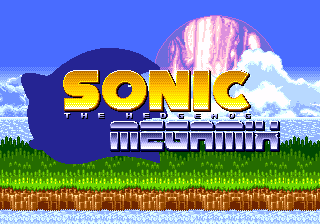 Over at Sonic Retro, member ColinC10 has made a brand new ROM hack that tests not only your time attacking skills, but your boss killing skills as well. “Robotnik’s Revenge” is a Genesis ROM hack that pits you against every single boss from both Sonic 1 & 2. Back to back, you are presented with these familiar challenges inside the Death Egg, a design reminiscent of the version of the Death Egg found in the “Sonic 2 Long Version” hack. The hack is incredibly addicting, as your previous experience with these bosses leaves you coming back for more if just so happen to die. I died a few times near the end and kept telling myself, “I know that I can beat this game! I’ve done it a thousand times!” Then, I kept playing. The hack offers a time attack mode (unlimited lives) and a survival mode (with lives). You can play with Sonic or Tails in both modes. Please, give it a play, because it is really cool to see the Sonic 1 bosses implemented into the Sonic 2 engine. We have chosen to release the work we have. The game has had many changes, including a port to the Sega CD by Stealth. There is one ISO for each region, and the game should work perfectly on hardware, with a few exceptions; a few Knuckles sections will crash the system, and the pitch adjustment in the sound test doesn’t work on hardware either. However, BRAM is fully functional, among other things. This is nowhere near what an ideal final release would be like, but there’s really nothing more to be said. The game is in a playable state, although it is stressed that this is by no means in an ideal state for a full release. There were many things we had planned but could not achieve, and these things will never be achieved. To read his entire post, check the link below. Oh, and take some time off, Tweak. You’ve earned it.